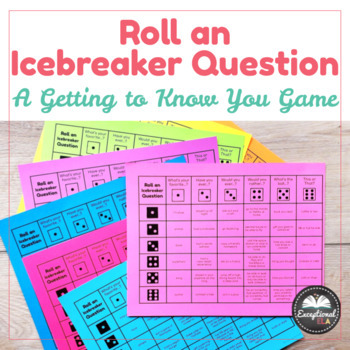 Roll an Icebreaker Question: A Getting to Know You Game with Dice! Roll and Icebreaker Question: A Getting to Know You Game with Dice! 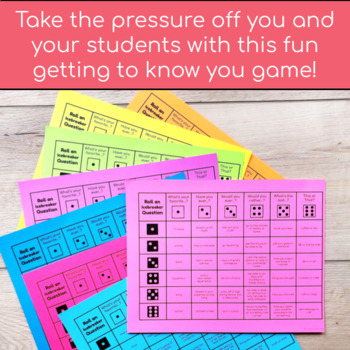 Take the pressure off you and your students with this fun getting to know you game! 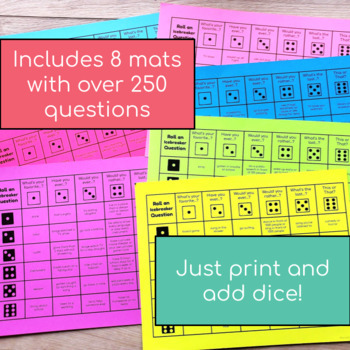 Included are 8 different mats with over 250 different fun icebreaker questions! All you need to do is print and provide dice! 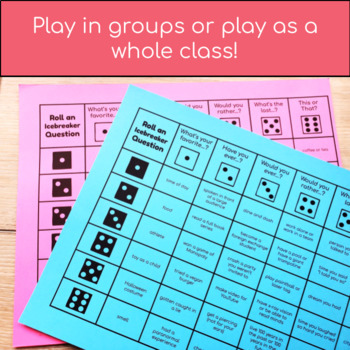 Students can play in pairs or in groups! Or play as a whole class! More Beginning of the Year Resources from Exceptional ELA! Weekly Do-Now Sheet: Get your students as soon as they walk in with this quick and easy customizable worksheet! Weekly Reading Log + Reading Questions: Keep your students accountable for outside reading! Editable Black and White Class Coupons: Incentivize your students with these fun rewards!